in the Castro, I push my team to think about future with cutting-edge innovations for culturally-competent care. My most recent passion project was providing hep C treatment at all San Francisco AIDS Foundation sites and she made me feel like I was tacking some ancient illness that no longer existed. She was right: I was approaching a problem that we should have already solved. In nursing school, I was taught that the first hep C treatments were just terrible and as a provider, it was never something I could ever think of doing alone. Getting treated required a team of people to support you through a nauseating and literally depressing treatment that was probably not going to cure you anyway. It was scary for both the clients and the provider. Then, newer medications started popping up and even those were quickly replaced with better and better medications so fast that, like that gold fish you got from the county fair, it was best to not get too attached. We now live in a world where treating hep C for most people is easy and can be done anywhere. Yes, I said easy, and it truly is. For most people, treating hep C involves three blood draws and some hand-holding for 8 weeks. You can do that anywhere. With all the amazing advancements happening in hep C, I was witnessing the progress from the sidelines. Magnet provides sexual health services and we do some hep C testing, but it’s not our main service. When someone tested positive for hep C, it was our practice to refer them to a nearby clinic. One day, one of our marginally housed clients came in and tested positive for hep C. Per our protocol, I referred him to the closest public health clinic, which was only two blocks away. We made two appointments for him. He missed both. But, every day he was back in our lobby, hanging out because it was familiar. Eventually, he told me he just wasn’t going to go to the other clinic. That’s when I learned that if I wanted to make a difference, I was going to need to get off the sidelines and bring the care to the client. So, I teamed up with the nurses at Magnet and our San Francisco AIDS Foundation colleagues at the Harm Reduction Center on 6 th Street to develop a hep C treatment program aimed at reducing barriers to care. Our Harm Reduction Center has many clients who have difficulties engaging in care but come in almost every day. This provides an ideal setting to get people treated in a space they are comfortable and where they already spend time. The center already had a hep C case management program and it was easy to get a treatment program started as we only needed to add a friendly nurse practitioner, which we have at Magnet. Our program is small, but you have to start somewhere. We have five clients on treatment, who would not be getting care unless we stepped in. The 6 th Street Harm Reduction Center has a “Breakfast Club” that underscores the importance of familiarity and convenience to help clients successfully complete their treatment. Clients have access to a locker to store their medications; they can come in every morning for breakfast with a counselor, and take their pills from the locker. Our nursing team manages all the labs and medication refills, which are proactively placed in the client’s locker, so they just need to come every day and take a pill until they’re all gone. We partnered with Mission Wellness Pharmacy (Hi Francis! ), who is able to do prior authorizations for us. That partnership has made what I was worried would be a big barrier completely manageable, even for a single provider. We hope to grow the program to give more people access to care and to inspire other groups who aren’t sure it can be done. 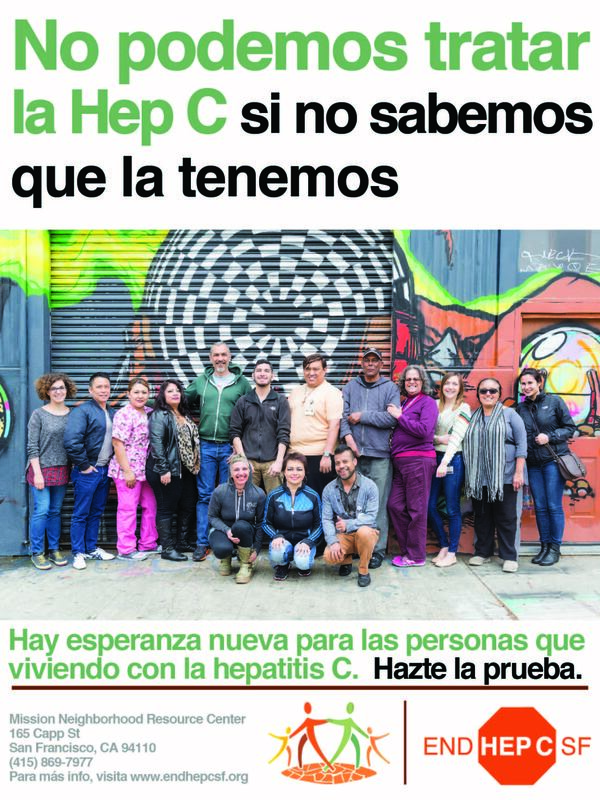 If we want to end hep C in San Francisco, we have to look at different ways to provide care and that means treating hep C in primary care, community centers, or any place where the community spends time. If we find new ways to reduce barriers to care rather than sticking to old models, we can make hep C something that future generations of health care providers only read about. We should also probably stop giving gold fish out at fairs. His name was Cedric. 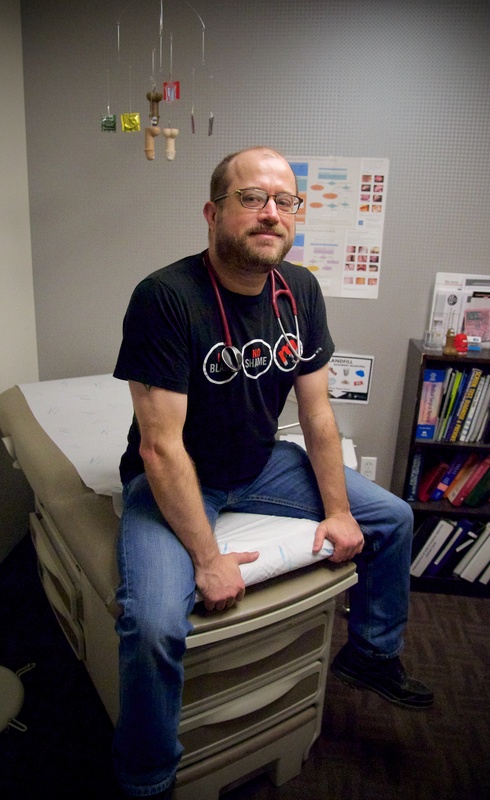 Pierre is a nurse practitioner and the director of nursing at Magnet, a program of San Francisco AIDS Foundation.